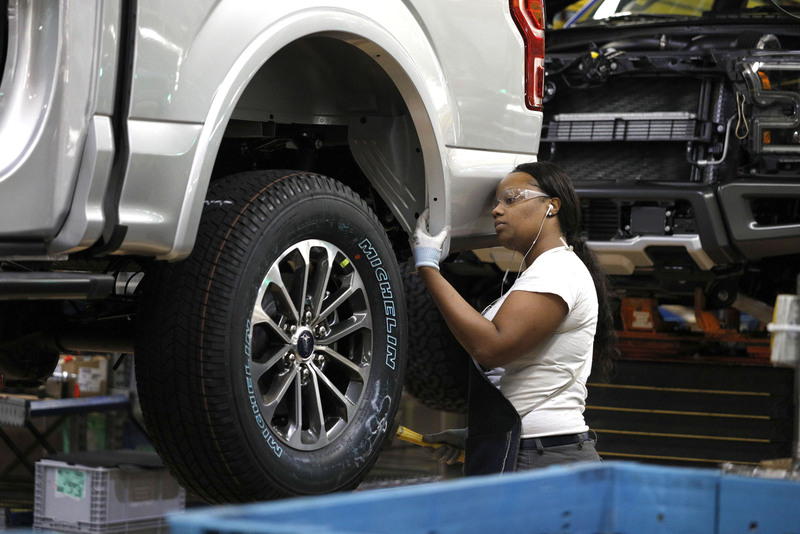 A Ford Motor Company worker works on the assembly line in Dearborn, Michigan, September 2018. The U.S.-Mexico-Canada Agreement (USMCA), President Trump’s 2018 revision to the North American Free Trade Agreement (NAFTA), misses the chance to place workers at the center of U.S. trade priorities. Congress should insist on an approach that does. Some have argued that NAFTA’s benefits for particular industries, such as the automobile industry, have been quite large,32 and that by extending supply chains to Mexico, firms have been able to lower costs; this, in turn, has made them more competitive. However, while a corporation’s decision to site production in Mexico benefits that individual corporation, those gains have not been large enough to register at an aggregate level, as the economic studies cited above illustrate. Marc Jarsulic is the senior vice president for Economic Policy at American Progress. He has worked on economic policy matters as deputy staff director and chief economist at the Joint Economic Committee, as chief economist at the Senate Banking Committee, and as chief economist at Better Markets. He has practiced antitrust and securities law at the Federal Trade Commission, the Securities and Exchange Commission, and in private practice. Before coming to Washington, he was professor of economics at the University of Notre Dame. Andy Green is the managing director for Economic Policy at American Progress. He focuses on financial markets and regulation; corporate governance and competition; international trade; and the economy and middle class. Prior to joining American Progress, he served as counsel to Kara Stein, commissioner of the U.S. Securities and Exchange Commission (SEC). Previously, Green served as counsel to U.S. Sen. Jeff Merkley (D-OR) and staff director of the U.S. Senate Banking Committee’s Subcommittee on Economic Policy, where he handled a wide range of economic policy, including international trade. Before his time in government, Green practiced U.S. corporate securities and foreign investment law in Hong Kong and Shanghai and wrote on and taught on law in China. Daniella Zessoules is a special assistant for Economic Policy at American Progress. Before joining American Progress, Zessoules served as the domestic policy intern at the Center for Economic and Policy Research, as well as a federal legislative affairs intern at the Center on Budget and Policy Priorities. She holds a degree in economics from the University of Massachusetts at Amherst.